Washington State can be proud of its efforts to recover salmon from near extinction. For more than a decade, people in Washington have come together to fix the problems that have decimated the state’s once plentiful salmon runs. We’ve torn down dams, breached levees, rerouted rivers, planted shorelines, and removed barriers to allow rivers to flow freely once again. These efforts are returning rivers and streams to more natural conditions and reconnecting the many branches of the state’s waterways used by salmon. Washington’s actions are beginning to pay off. Salmon are responding and returning to Washington waters in greater numbers in several areas around the state. Like the iconic salmon swimming against the current to reach their home waters, Washingtonians still face many challenges before salmon and steelhead will be removed from the Endangered Species Act list. In some areas of the state, growth and development still damage more salmon habitat than is being restored. Climate change is bringing new challenges for salmon. Funding to continue recovery efforts is insufficient to address the long list of needed projects. Fortunately, Washington has a strong foundation to work through these many obstacles. 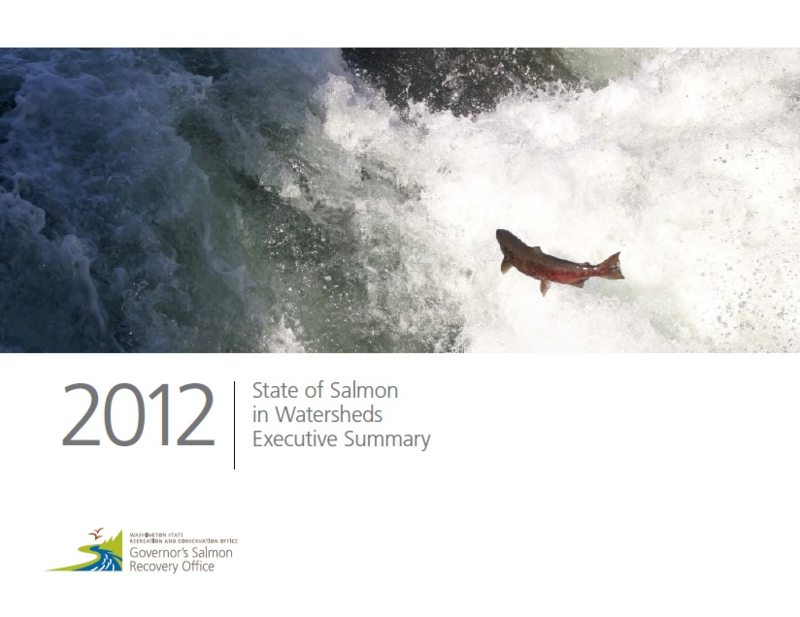 The “Washington Way” is this state’s community driven, locally based approach to recover salmon. This unique approach has served as a powerful example of successful salmon recovery implementation on the West Coast. The work not only improves salmon populations, but also restores natural areas in communities and brings salmon dollars home to businesses and workers.